The “Power of Positive” means having an optimistic attitude that can transform your hard work and energy into reality. Nicole hails from “The Motor City” – Detroit, Michigan. In keeping with her Great Lakes roots, she attended Grand Valley State University in Canton, Michigan. After completing 3 different internships in Human Resources while in school, Nicole graduated with a Bachelor’s in Business Administration. Post-graduation, Nicole, her husband and Colt (the fur baby) left the cold and snow behind and relocated to sunny North Carolina. Our resident world traveler, Nicole has visited Mexico, Canada, Ireland, France, Austria, Poland, Italy, Czech Republic, and Germany – with more to come! 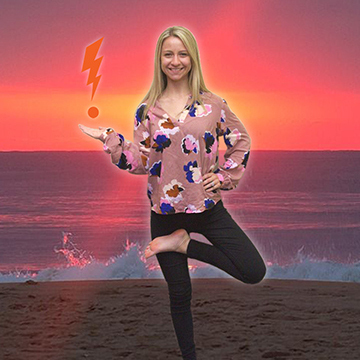 When not matching great candidates and companies on our Office Professional team, Nicole likes to practice yoga, play volleyball, watch football and travel (obviously). Virgo’s are described as dedicated, resourceful, helpful, hardworking, witty and practical which fits Nicole to a tee!